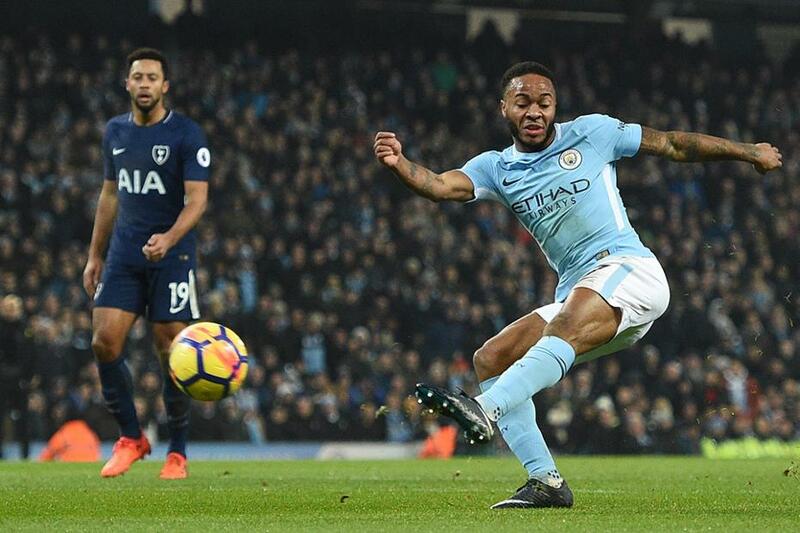 Raheem Sterling (£8.5m) is currently the hottest property in Fantasy Premier League, though when it comes to bonus points, he was overshadowed by team-mates in Gameweek 18. The Manchester City midfielder scored two goals in the 4-1 win over Tottenham Hotspur. His 12 points have inspired more than 130,000 new managers to sign him ahead of Gameweek 19, making Sterling the top transfer target. But Sterling's existing 1.1 million owners will wonder how the winger failed to pick up bonus points from Saturday’s performance. The answer lies with the number of chances that came his way. The FPL bonus points are awarded according to the Bonus Points System (BPS): a range of statistics that capture actions on the pitch, creating a performance score for every player. Players can lose points in the BPS for some match events, including a shot off target. Sterling fired six shots against Spurs, missing the goal on three occasions. Those failed attempts immediately cost the midfielder three points in the BPS. More significantly, two of those efforts were deemed big chances - a chance where the player is expected to score. Players lose another three points in the BPS for every big chance missed. This meant that Sterling’s three failed attempts cost him a total of nine BPS points. He still tallied 37, though that was not enough to overcome Kevin De Bruyne (£10.3m and 48), Ilkay Gundogan (£5.3m and 41) and Leroy Sane (£8.6m and 39) to factor in the three bonus points positions. Sterling’s owners are likely to accept the missed opportunities if he continues to get the service to maintain his prolific form. Only Mohamed Salah (£10.0m) has scored more goals (14 v 11) and had more big chances (17 v 13) than Sterling among FPL midfielders. And Sterling will rank among the favourites for the Gameweek 19 captaincy ahead of his home meeting with AFC Bournemouth.